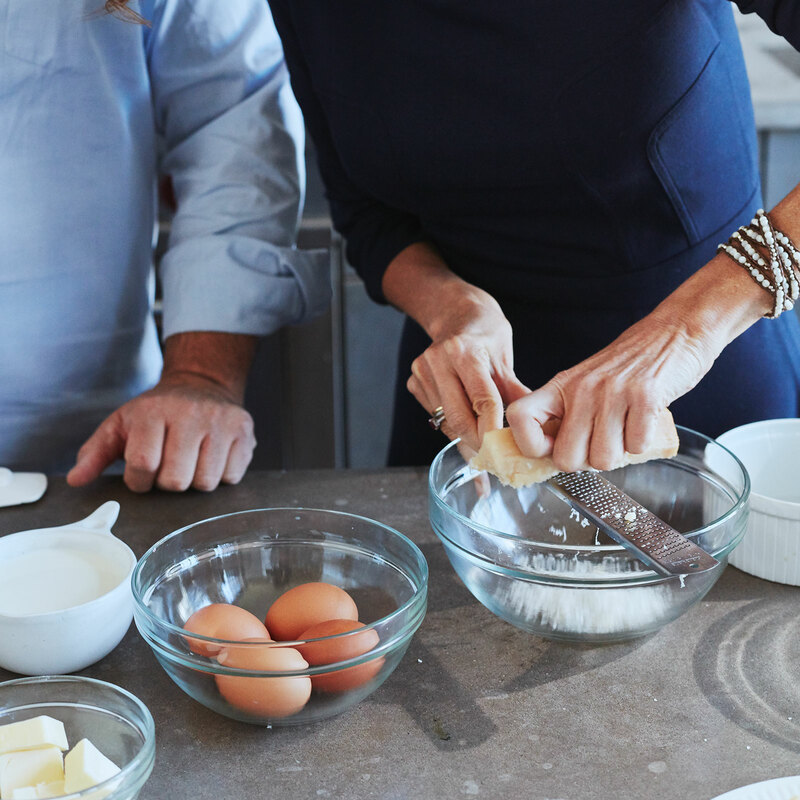 Inspired by her cookbook, Mastering My Mistakes in the Kitchen, F&W editor in chief Dana Cowin takes a cooking lesson from a chef. 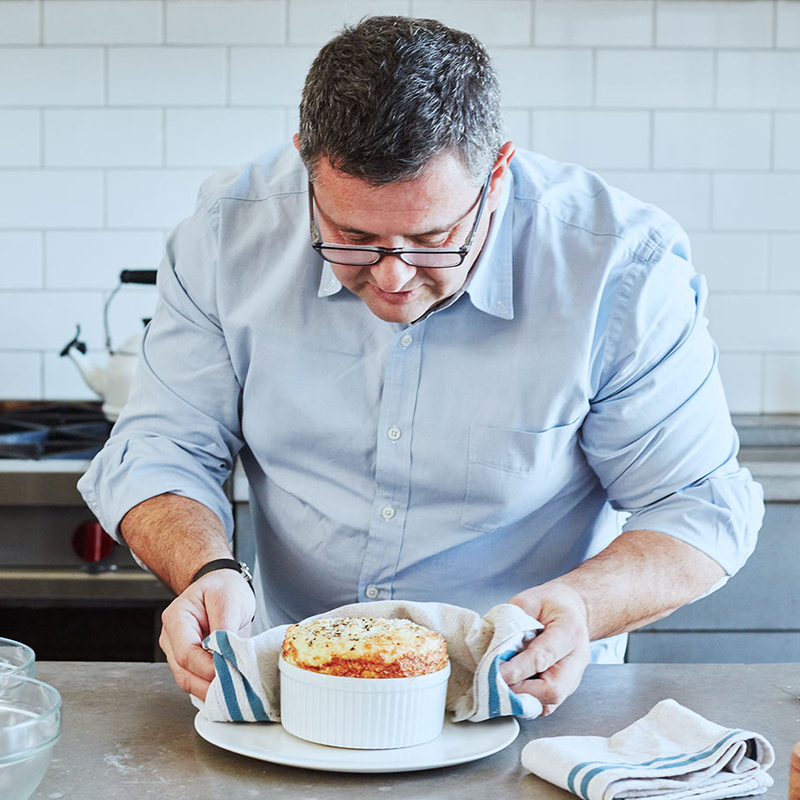 This month, Laurent Tourondel of the new L’Amico in Manhattan teaches her how to make a Valentine’s Day dinner—including the perfect soufflé. DON'T I overwhipped my egg whites until they were like cement. Instead of binding the soufflé, they got watery when cooked. 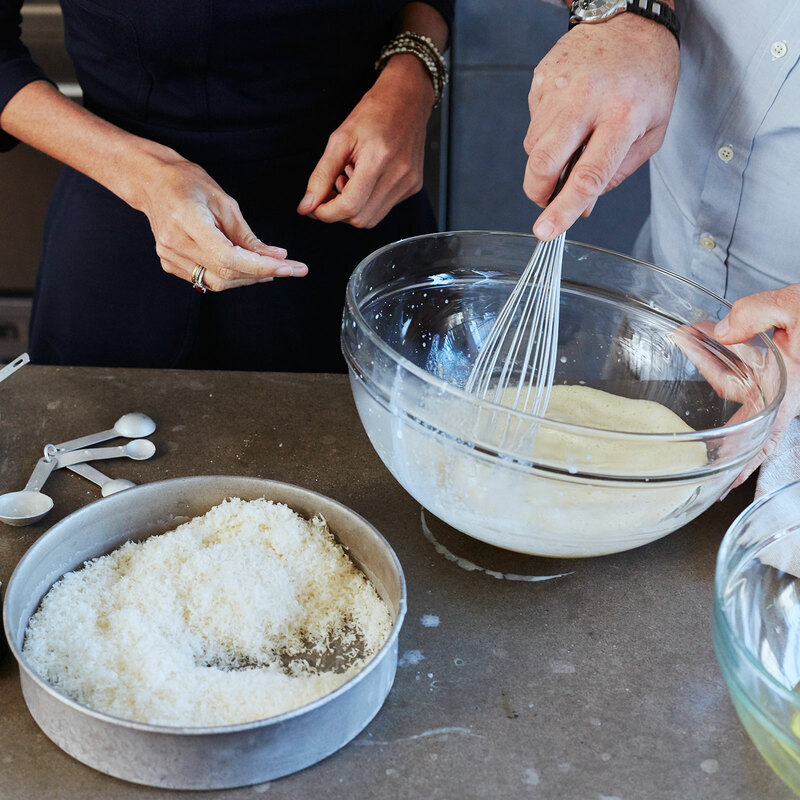 DON’T be dainty when grating cheese. Laurent taught me that the harder you push down, the more cheese you get. DO use lots of room-temperature butter to gloss the inside of the soufflé dish. 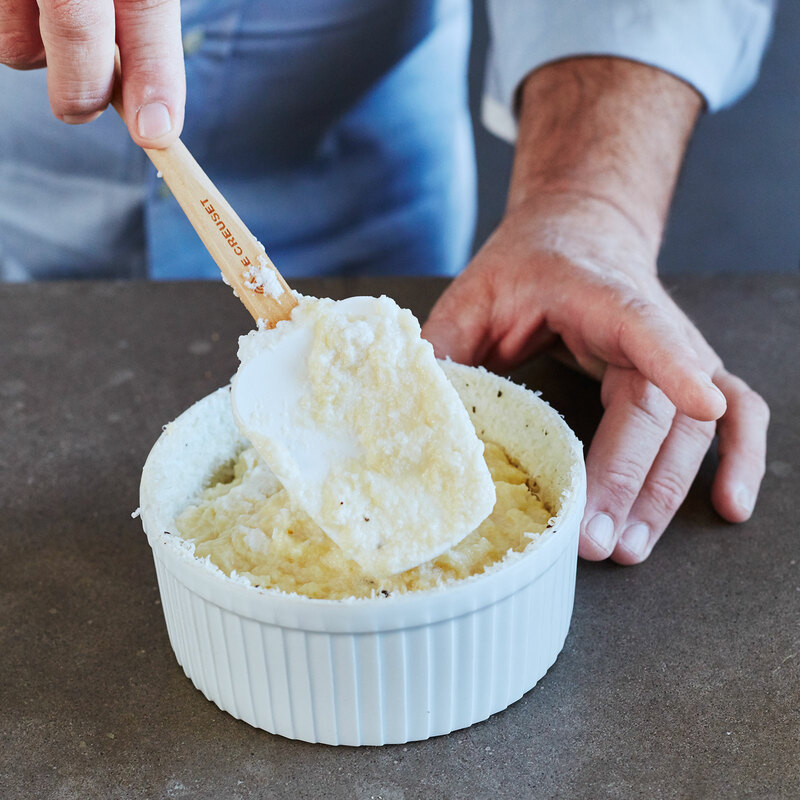 DON’T use store-bought grated cheese; it’s bulky and will make the soufflé grainy. 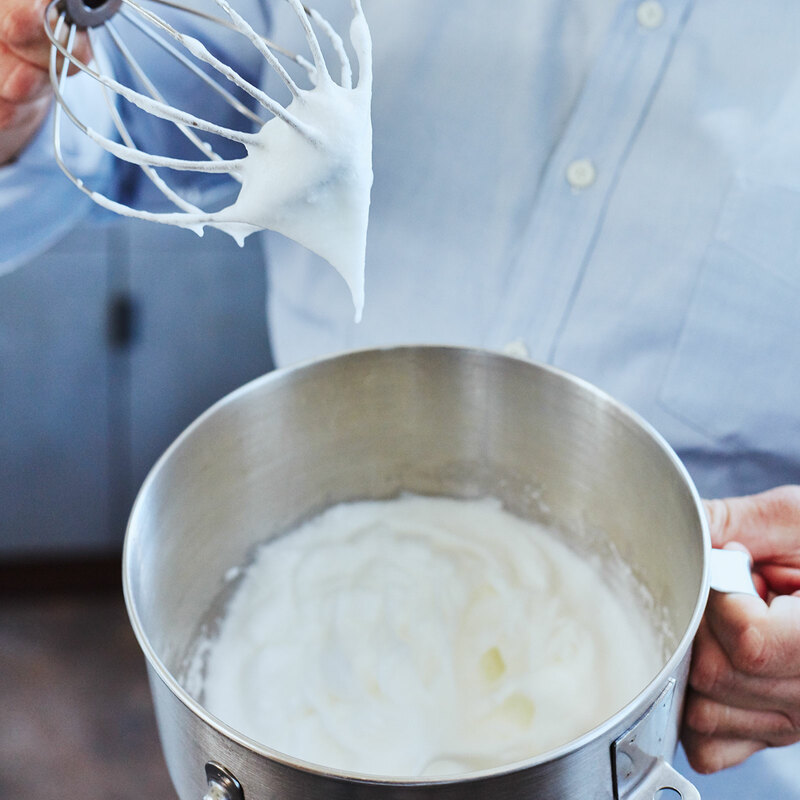 DO be sure to whip egg whites to medium-firm peaks until they hang like an apostrophe off the whisk. DO spread the soufflé mixture in the dish, but treat the edge like a third rail. 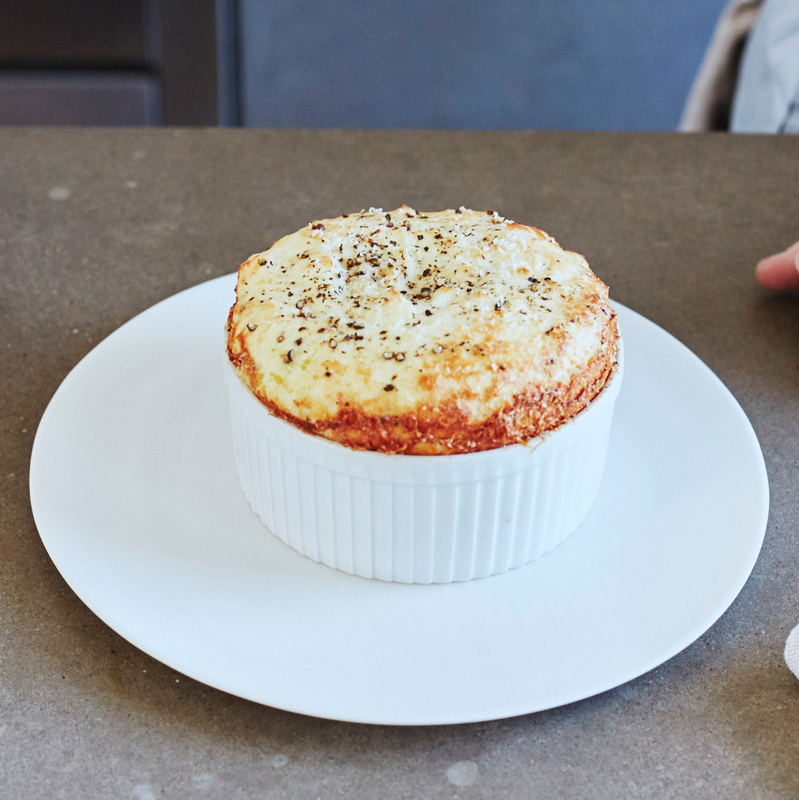 DON’T be afraid to open the oven while this soufflé cooks; lots of cheese makes it sturdy.